An insurer by training, Milind has learned quite a lot from his team members, particularly about motor, accidents and motor insurance. Young boys and girls with a background in auto industry, automobile engineering, garages, repair workshops and the field of survey have taught him whole heartedly and he was limited in his learning only by his inabilities. A Pharmacy Honors graduate from BITS Pilani, Milind entered the field of general insurance in the year 1982, worked in various offices of United India Insurance Co. Ltd., set up the motor claims department of Tata AIG General Insurance Co. Ltd., an insurer he served as head of north zone in business later, and then worked to set up the operations, claims, contact centre and customer support departments of Bharti Axa General Insurance Co. Ltd.. He had a brief stint in Zambia as an Executive Director of Professional Insurance Corporation Zambia Ltd.. Subsequently, he started on his own and as on date works through his companies, namely Visla Consulting LLP and Futureforce Training Academy LLP in the fields of insurance & IT consulting and training. He operates through an eco system of over 30 associate consultants. Have designed and delivered India specific Motor Estimation Training for two of his previous employers and one of the general insurance companies as an independent consultant. 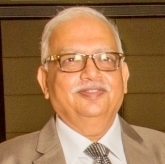 He is a Fellow of Insurance Institute of India, Diploma Chartered Insurance Institute and a Chartered Property & Casualty Underwriter of the American Institutes, known as The Institutes. He has done his diploma in Automobile Estimation and Star Alignment Systems from Vale National, Pennsylvania, USA. He loves questions, particularly the ones which he cannot answer.